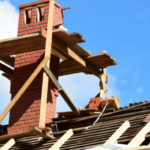 Tuck Pointing, Brick and Chimney Repair Toronto | Turnbull Masonry Ltd > Blog > Blog > Best Time Of Year For Masonry Construction & Repairs In Toronto? 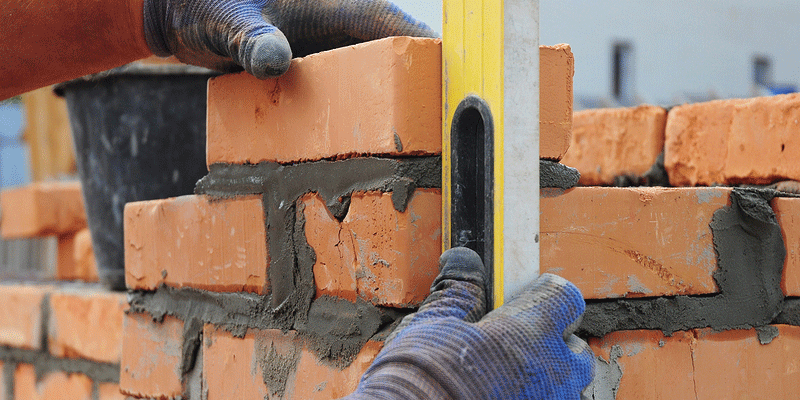 According to industry standards, the normal range of temperatures for conducting masonry construction or repairs is between 4.4°C and 37.78°C (40°F to 100°F). That means the best time of year for masonry construction or repairs in Toronto are in the spring or summer. Masonry work may also be conducted in the fall, as long as temperatures remain above 4.4°C. While masonry repairs and construction can be applied in the winter, the cold weather makes for additional issues, precautions and risks. Always take the time to inspect your chimney and other masonry elements during the spring and summer in order to conduct repairs at the most opportune time. If you wait all winter to apply certain repairs, the damage may worsen before a mason has a chance to get to it. Cold weather has a negative impact on all facets of the construction industry. We highly recommended following cold weather requirements of applicable building codes. Can You Still Conduct Masonry Repairs & Construction During The Winter? 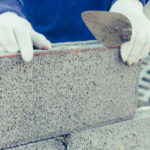 Yes, it is definitely possible to conduct masonry work in the winter, but there are a number of precautions a skilled mason must take. In order for mortar to properly cure, the temperature cannot dip below 4.4°C (40°F). If it does, mortar must be properly heated, sheltered and protected, plus chemical additives may also be added to the mortar mixture. Otherwise, mortar will not reach its peak strength and you won’t get the most out of your investment. Even following all of the necessary precautions, there is still a greater risk that things will go wrong with the curing process. Cold weather slows down construction as it impacts the development of mortar and grout in regards to time and strength. If the weather dips below 4.4°C within 24-48 hours of applying mortar, the curing process will cease until temperatures warm up again. Incomplete hydration before mortar dries out leads to reduced strength. 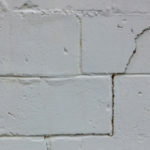 Without the proper strength, mortar will fail to support the masonry above, and may start to pop out of joints. Other common drawbacks to conducting masonry repairs in cold weather include an increased risk for efflorescence and flashing failures. When the weather is too cold, it creates adhesion problems with flashing systems. Further complicating issues, frozen mortar has the ability to lift sections of masonry, resulting in damaging movement. Frozen grout can cause cracking and spalling of units. 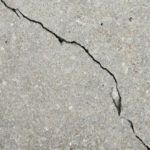 If the water added to mortar mixture freezes during the curing process, it’ll expand and cause internal cracking that permanently damages the mortar bed. Even if the work looks okay post-chill, mortar has a high likelihood for failure in the future. What Can Be Done To Help Prevent These Issues? As mentioned above, it is possible to conduct masonry repairs in the winter. In order to do so, there are a number of techniques a skilled mason will apply. These measures include choosing the best possible materials, heating materials, using admixtures and erecting full or partial enclosures. Even when all of these measures are utilized, the results may not be of the same quality as repairs or construction conducted in more ideal temperatures. When mortar is mixed with cold materials it reacts differently and develops different properties than mortar mixed at normal temperatures. When you mix mortar in colder weather, it develops a lower water content, higher air content and reduced strength when compared to mortar mixed at normal temperatures. When prepared in cold weather, mortar should be mixed in smaller batches so that it is used before it has a chance to cool below 15.5°C. Otherwise, mortar will freeze before it is applied or fully cured—and you definitely don’t want that to happen. Accelerators are used to reduce the amount of time it takes for mortar and grout to set. As a result, the rate of the cement hydration process increases. Accelerators also enhance early strength gain. Accelerators are not effective enough to be used alone, and must be used in conjunction with other remedies. Mortars or grouts mixed with accelerators still require additional measures to protect them against freezing temperatures. Masonry units should be temperature conditioned to at least 4.4°C before installation takes place. Temporary enclosures must be erected in order to protect masonry against cold and wet weather. Even after masonry work is complete, the structure still requires adequate protection for at least 24 hours. Tarps, poly sheets and commercial electric blankets may be used. Additional heating systems may also be necessary in order to keep the structure warm. It is equally important to apply warm air circulation to both sides of a masonry wall. No matter what time of year it is, Turnbull Masonry remains the leading name for masonry construction, rebuilds and repairs in Toronto.